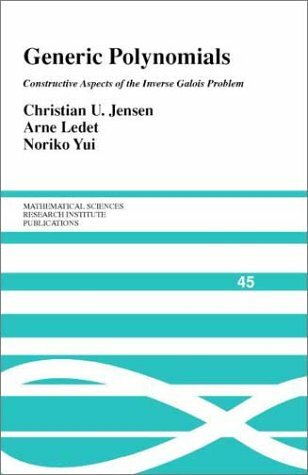 This book describes a constructive approach to the Inverse Galois problem. The main theme is an exposition of a family of "generic" polynomials for certain finite groups, which give all Galois extensions having the required group as their Galois group. The existence of such generic polynomials is discussed, and where they do exist, a detailed treatment of their construction is given. The book also introduces the notion of "generic dimension" to address the problem of the smallest number of parameters required by a generic polynomial.